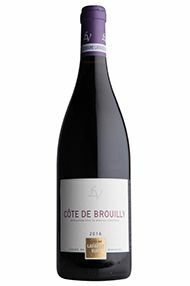 From a parcel totalling 0.66 hectares, these 55-yearold vines are planted on blue granite soil on the Mont de Brouilly. A quarter was whole-bunch fermented. 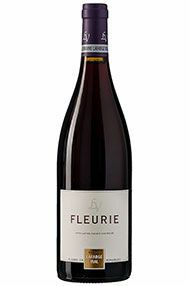 The nose has rich, almost black fruit and a touch of garrigue spice, while the palate is stony with meaty black cherry and a firm, mineral texture. Drink 2021-2028. Michel Lafarge (b. 1928) and his son Frédéric make use of their combined experience to produce some of the greatest wines in Volnay. There is nothing modern in their winemaking, though the meticulous care of their biodynamically farmed vineyards puts the domaine at the forefront of viticultural practices. When they are working on a patch of vines they are usually accompanied by their hens who eat up any lurking pests. The grapes are de-stemmed, vinified traditionally and very little new oak is used in the cellar. In 2014, they purchased vineyards in the Beaujolais which are farmed using the same biodynamic practices as employed in the Côte de Beaune. Thanks to the hail, this is a blend of three lieux-dits – Bel Air, Cercillon and Joie du Palais – which were harvested at a minuscule 8hl/ha. The fruit was all de-stemmed and raised in 350-litre barrels (because there wasn’t enough to go into a foudre). 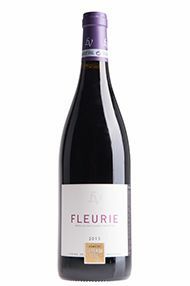 The result is unsurprisingly concentrated with lots of red fruit, plenty of weight and a finish of granitic tannins. Drink 2020-2025. Frédéric was keen to highlight the solidarity shown between vignerons at the end of April, as they mobilised to put in place measures to prevent a repeat of the frosts of 2016. Burning dampened straw bales at strategic locations, they succeeded in creating cloud cover which saved the vast majority of the vineyards. He also stressed the importance of “fractional harvesting” – waiting until each parcel is fully ripe before picking – and feels that the domaine’s biodynamic practices allow the grapes to achieve even ripening and balance, a real boon in early vintages such as 2017. For those with long memories, 90-year-old Michel compares 2017 to 1947 and 1964.